Yay for Thanksgiving! 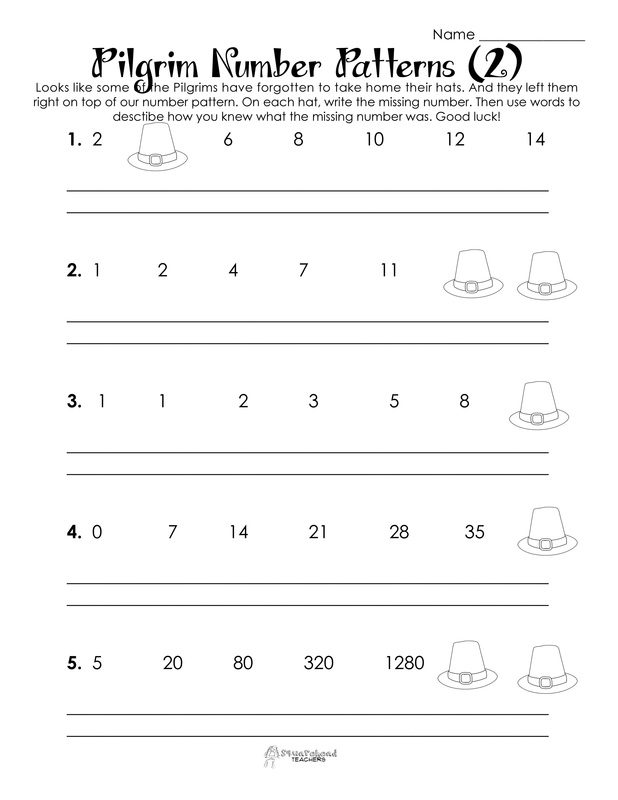 Worksheet 1 is for younger grades and involves simple number patterns. 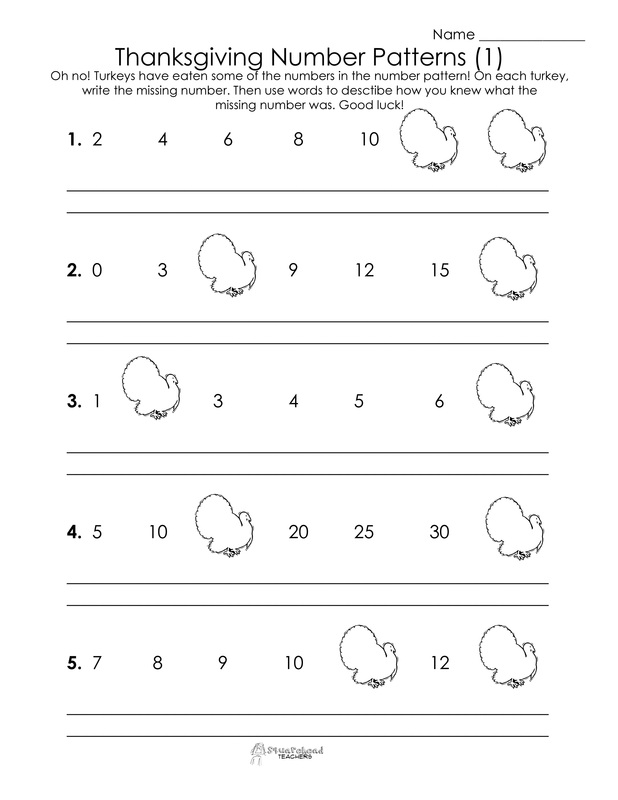 Worksheet 2 is for upper elementary grades and involves more difficult number patterns. Enjoy! Click here for more free math stuff and here for more free Thanksgiving stuff for kids! This entry was posted in Holidays/Seasons, Math, Patterns/Sequences, Thanksgiving/Fall and tagged Children, Education, Elementary School, Homeschool, Kids, Teacher Resources, Teachers, Teaching by Squarehead Teachers. Bookmark the permalink.